Mark Korven’s THE WITCH Score Will Quietly Scare You | Birth.Movies.Death. Did you guys hear? The Witch came out today! You should absolutely go see it and find out why we all love Black Phillip so much! Throughout the history of cinema, horror scores have a reputation for resorting to cliché or trite techniques to generate their scares. The cheapest gag in the business is to noiselessly lure in your audience only to make them jump out of their seats with a repellently loud boom. It works on a physical level; however, if it happens too much or too often, it gets flat-out annoying, like an obnoxious uncle who won't stop jumping from around dark corners yelling “Boo!”. I think modern horror scores are especially egregious of this offense. It’s lazy and underwhelming. 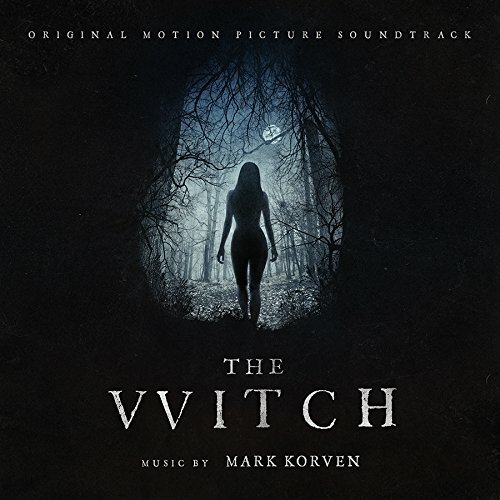 That’s one of the reasons why Mark Korven’s terrifying music for The Witch is so effective. It eschews the physicality of the ubiquitous jump-scare and relies prominently on the psychological terror that’s lurking within the quiet. Let’s face it, sometimes there’s nothing creepier than a faint tapping or subtle creaking when we’re alone with our own imagination. The Witch is a period piece set in New England in 1630. Fear was manifested differently in those days which presents an interesting challenge for director Robert Eggers. What scared the crap out of puritan farmers in 1630, isn’t necessarily going to terrorize tech-savvy skeptics of 2016. So how does he do it? The answer is pretty simple…with psychological manipulation through music. What is so refreshing about The Witch is its fresh approach to a simple Abrahamic concept — how does one protect thy self from the evil lurking around us? This is a raw and primal fear that transcends a simple boogey-man attack. It’s a fear rooted in Heaven and Hell and one’s intrinsic view toward salvation. In 1630, this was a foundation for all fear and it was extremely palpable. Composer Mark Korven’s music is extremely effective at exploiting the inherent fear and anxiety of a Puritan family homesteading within earshot of an enigmatic wilderness. Using extremely quiet textures which percolate our imagination, the music transforms moments of simple observation into wholly encompassing experiences. Certainly there are a few jump-gags; however, they’re rare and judiciously woven into the fabric of the score to remain an effective tool used only when necessary. In actuality, the majority of the terror is achieved through extremely hushed, almost inaudible music. Korven makes the hairs on your neck erect with swelling creaks and clicking clacks that are so quiet and imperceivable, you doubt whether it was truly heard or simply an echo reverberating within your own imagination. In the spirit of Jerry Goldsmith’s The Omen (1976), Korven utilizes vocal chanting to considerable effect, especially during the narrative climax of the film. These necromantic incantations, howls, whispers, and moans inject an appreciated dose of white-knuckled terror into an otherwise muted musical texture. The Witch is getting a lot of public and critical buzz for being a scary film. 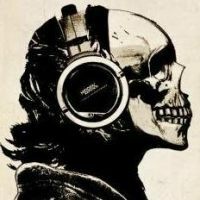 If this is true (and I believe it is), then it owes a lot to Korven’s music. There are no cheap gags, either visual or aural, used to generate nickel scares like a carnival showman. Curiously, the images aren’t necessarily frightening by themselves. Only when they are married to Korven’s music is the fear-factor ramped up to its fullest potential. It’s an exemplar of psychological manipulation and how powerful the ears can be (perhaps, even more than our eyes) in terrorizing an audience. …so don’t say I didn’t warn you. Scare machines as explorations of deeply personal fears and traumas.